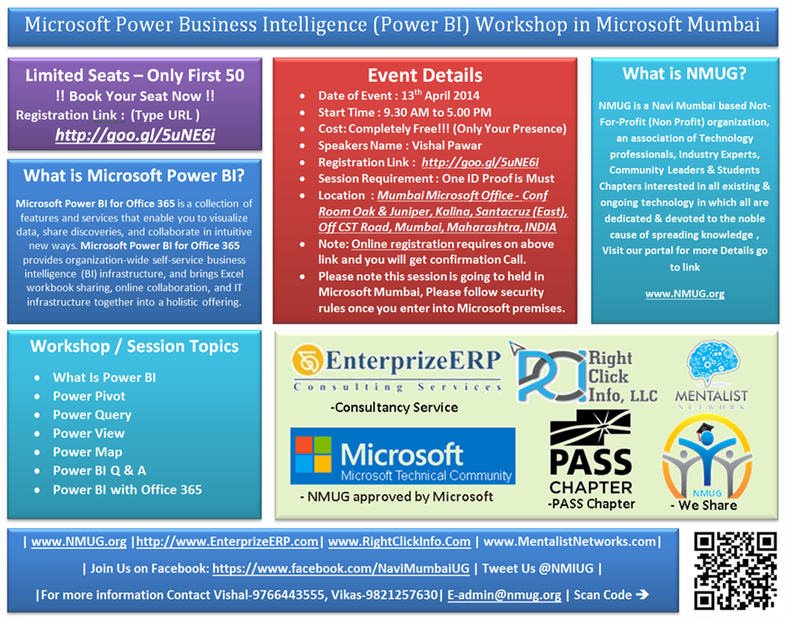 I am really excited to announce my session on Microsoft Power Business Intelligence (Power BI) at Microsoft Mumbai Office on coming Sunday 13th April 2014. Microsoft Power BI for Office 365 is a collection of features and services that enable you to visualize data, share discoveries, and collaborate in intuitive new ways. Microsoft Power BI for Office 365 provides organization-wide self-service business intelligence (BI) infrastructure, and brings Excel workbook sharing, online collaboration, and IT infrastructure together into a holistic offering. · Note: Online registration require on above link and you will get confirmation Call.